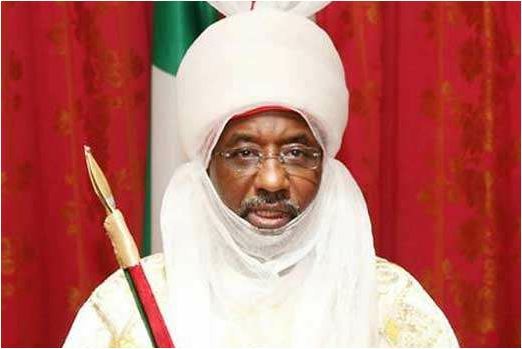 Emir of Kano, Muhammadu Sanusi II, has urged President Muhammadu Buhari to reduce the monthly salaries of the National Assembly members and ministers. The Emir also lamented that military personnel defending the country are earning meagre salaries while lawmakers and ministers earn a lot. Sanusi gave the charge through a statement addressed to President Muhammadu Buhari. He canvased for a slash in the remuneration, arguing that reducing their salaries will make it possible to create more jobs. The Emir further argued that a member of the House of Representatives receives N25 million monthly. “Half of that amount is N12.5 million, which is enough to employ 135 Nigerians with a monthly salary of N92, 500 each. Nigeria has 360 members in According to Sanusi, the House of Representatives, half of their salaries can employ 48,600 Nigerians who can live comfortably. He said: “So, the Buhari administration can employ 70,400 Nigerians with monthly salaries ranging from N90, 000 to N92, 500. This is just by dividing the salaries of senators and representatives.